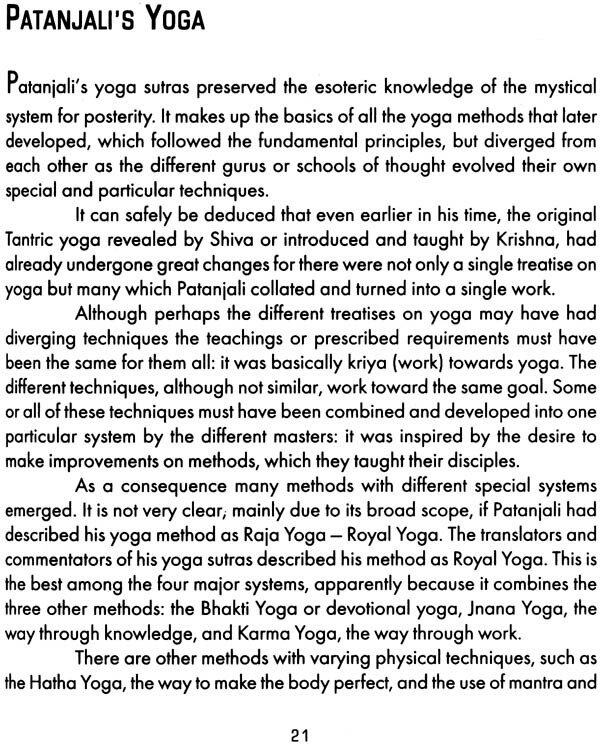 Yoga, the science of enlightenment, has become popular all over the world. Nearly everyone appears o know yoga. Nothing has spread so quickly in the last half century as yoga. 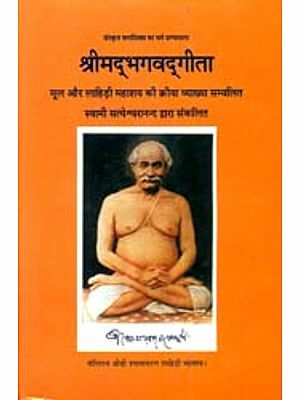 This interest must have been initially inspired by the publication of the Autobiography of a Yogi by Paramahansa Yogananda both in India and the United States. It is the story of a young boy who was inspired to become a renunciant, to follow the spiritual path. 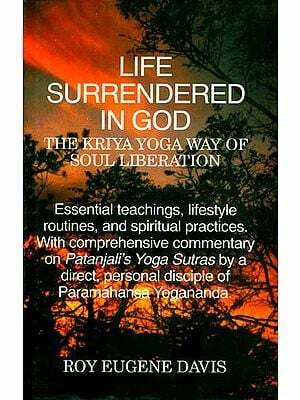 Eventually being initiated into Kriya Yoga discipline, he went to the United States where he gave a lecture and introduced Kriya Yoga. Yoga is not a religion; it is really more a science, but the essence of religion is intrinsic in the discipline. It is timeless and its appeal is universal. One can remain faithful to his religion and still practice yoga. It sprang up immediately after the Second World War with generally the young generation picking it up and spreading it all over the world. The Hippie Generation had sought to transform the world with the basic principle of 'Make Love Not War'. They evinced simultaneously both hope and despair. The latter brought about the introduction of psychotropic drugs. The world economy was getting better but there were problems that assailed the young. It is an irony of life that economically developed countries, the prosperous western countries, produced social problems particularly for the young people. The young, inspired by Paramahansa Yogananda's book, flocked to the subcontinent and as a consequence this led to the Indian swamis going to the West to teach Hindu philosophy and yoga followed in their wake by Buddhist lamas. Eastern philosophy taught that human beings have an inherent divine heritage, and that human suffering could be alleviated. It recommends yoga as a panacea for human ailments and problems. 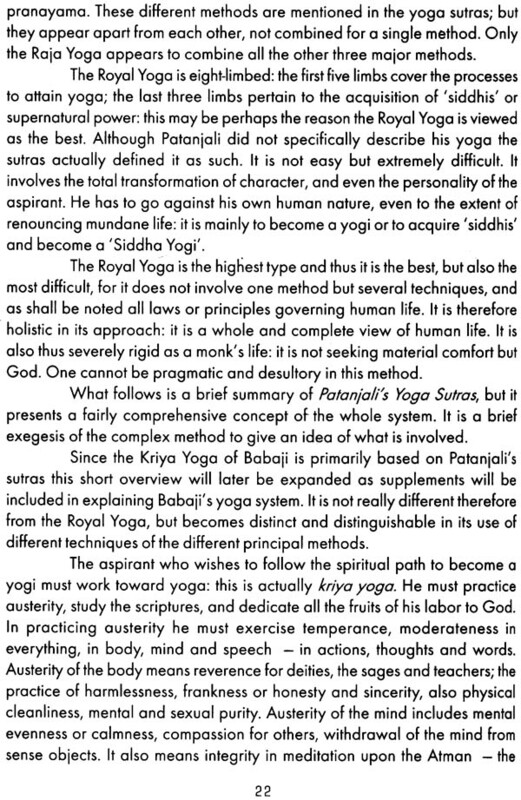 This brief work on Kriya Yoga introduces one of the best yoga disciplines extant today. Efforts have been made to make it comprehensive, and because I is one of the best, some aspects of its processes are kept secret, simply to prevent it from suffering any modifications. 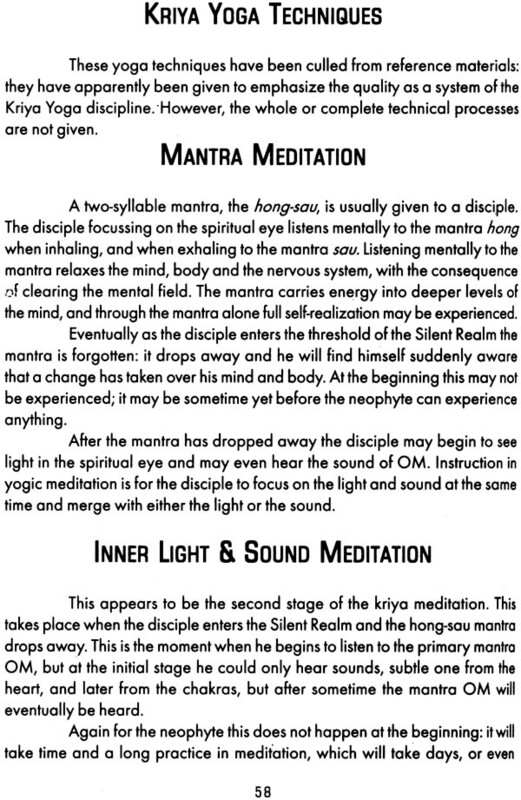 For those who are interested in pursuing a deeper study of Kriya Yoga they can always communicate with the Self-Realization Fellowship in Los Angeles, California, of with the Yogada Satsanga Society of Indian in Bihar, India. Author J. R. Santiago, himself a spiritualist and practitioner of Kundalini yoga, investigates this closely guarded secret of meditation, bringing into print a rare glimpse and insight into this fascinating but cryptic subject. 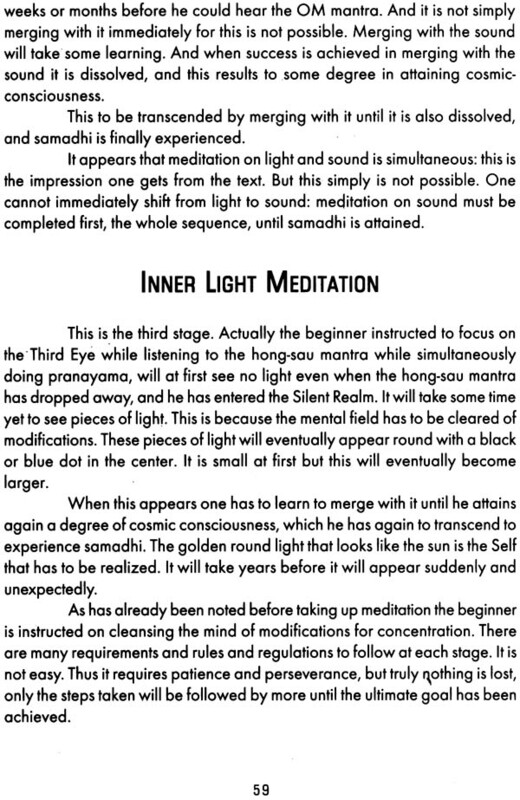 Esoteric and hard to understand terminology and spiritual concepts are made easier. 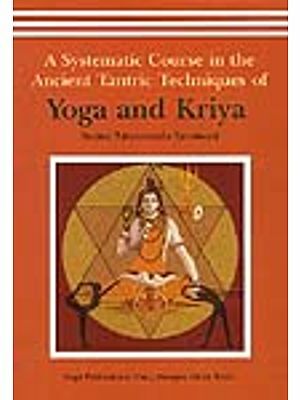 Kriya yoga, which covers a broad spectrum of knowledge including cosmology and psychology, is presented with discernment and clarity. This work stands out in a class by itself. One of the best introductions ever written.